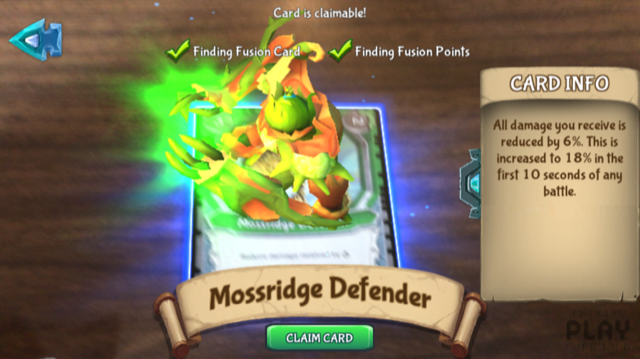 Disclosure: A review copy of the Lightseekers Starter Kit was provided by PlayFusion for the purposes of this review. One of the most colorful booths at Gen Con this year (a usually very contentious category) was for Lightseekers: Awakenings. 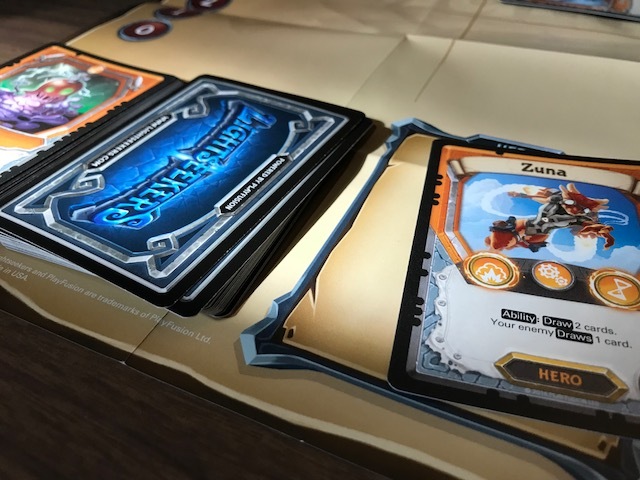 At first glance, a trading card game with the aesthetic of Hearthstone, Lightseekers is much more than just another collectible card game. 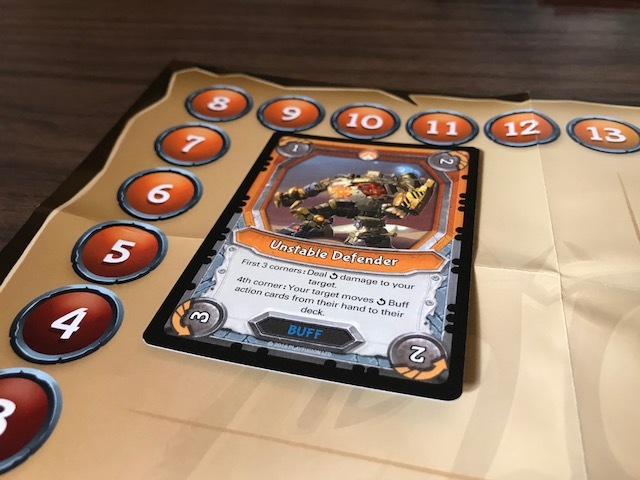 One spoke of a three-pronged multi-media experience, the Lightseekers card game integrates with a digital app that includes an RPG, augmented reality interaction, and a separate set of toys that also interact with the game. 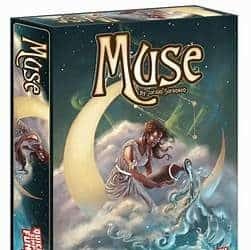 This review is going to focus solely on the trading card game and how it interacts with the app, but all this background is important because it sets the table for the characters, aesthetic and delivery method of these cards. 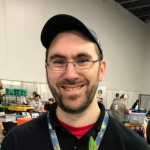 With all that said, how does this game stack up against the growing number of competitors to the CCG/LCG market – especially in the lighter arena of games like Pokemon and Yu-Gi-Oh? The card game is relatively simple. Each player has a hero they can use from either the starter pack or from one of the many other heroes mixed into the booster packs at random. They then take additional cards in the form of spells, creatures, items, and locations to build a deck of 35 cards. The deck building rules relate to the order of the hero – there are six orders: dread, storm, tech, mountain, nature, and astral. Each of these orders has three elements that will correspond to card types in your deck. You’ll play several types of cards as you chip away at the enemy’s health – attack and defend cards that often have one-time effects, buff cards that can frequently remain on the field for multiple turns (with a fun rotating card concept to track rounds), and combo cards that require you to discard a number of other cards to trigger powerful abilities. You can only have a limited number of 5 combo cards in your deck, so they are important to manage carefully. The game plays out over five phases in each player’s turn. You start with any start of turn effects, then move to the Buff Phase. During the Buff Phase, you’ll rotate all active buffs and activate the effects. You then discard any buffs that have expired and handle any instant effects. In the Action Phase, you’ll perform up to two actions, or you’ll play a combo (which uses both actions). Finally, when done, you’ll draw a card if you didn’t play a combo, and if you didn’t take all your actions, you will draw additional cards before cleanup and end of phase. The game is designed as a two-player dueling game, so the winner is the one who knocks out their opponent first, but if you play with more than two players, you’ll gain victory points for defeating players to your left as well as extra health for a smooth, flowing experience. This is an important thing to touch on, if only because of how seemingly complex this game’s release is. To start, the app is not necessary to play the game. There are cards in each booster pack designed to be scanned for extra items in the app, and every one of your cards can be scanned by the app, but none of this directly impacts gameplay (except for a handful of small exceptions). The app is quite well done, though, despite all this, especially for a free game. It’s bright, vibrant, and full of content that is accessible for younger players, while successfully tapping into the collectability of a game like this. The AR features are very quick too – with cards coming to life in a second. That split-second recognition of the card art is rare, and more impressive on devices that aren’t built for AR just yet. As for how to purchase the game, there are a few options. There is a two-player starter kit with Storm and Tech decks, along with player mats, counters, rules, and a booster pack (think Pokemon start packs). You can also buy individual starter decks for each of the 6 orders, each of which comes with a single deck and hero, and one booster pack. And then of course there are the boosters. Each booster comes with 1 hero, 1 rare, 2 uncommon, and 5 common, plus shiny variants in some packs. Pretty standard stuff, though I should mention that the initial set is 385 cards – so about double your standard TCG starter set. Let’s put aside the collectible nature for a second, because that’s a completely different can of worms (and I’m no one to talk after recent investments in Destiny). Lightseekers is a legitimately solid, accessible two player dueling game. The app integration is light and fun, but not necessary, but it does a great job of drawing a TCG into the 21st century and crossing that barrier from app-based games like Pokemon and Hearthstone, to card games. It’s not scary or gross in any way and the colorful, almost Skylander quality artwork will be a hit with your kids (it is with mine). 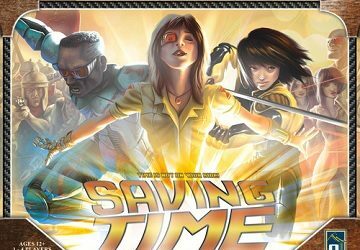 Mechanically speaking, the game manages to pack a lot into a relatively simple package. 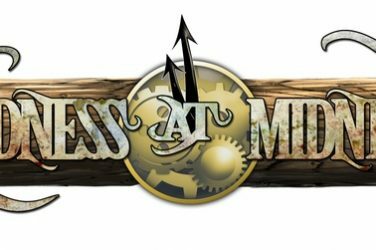 You can learn the game in 5 minutes, but the buff mechanic (which I haven’t seen anything quite like it before), combo setups, and the order/element trees mean lots of depth for deck building and game management, but a 10-year-old could dive right in with ease. 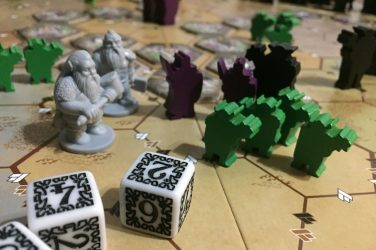 The balance of element availability and limit to the number of cards you can play each round make it easier to execute too – there are limited actions and limited options but lots of strategy behind those choices. Another very cool element here that I particularly like is that heroes and orders are not finite. There are many heroes for each order, and each has a different superior element, so you can completely change your play experience and style just by swapping out the hero and testing another in its place. This game manages to find a rare, but enviable position between complexity and accessibility that few TCGs pull off. 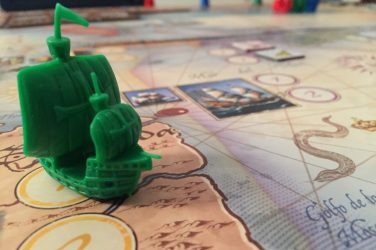 The short ruleset, friendly artwork, multiplayer rules, and app integration make it a potentially addictive hobby if it catches on. 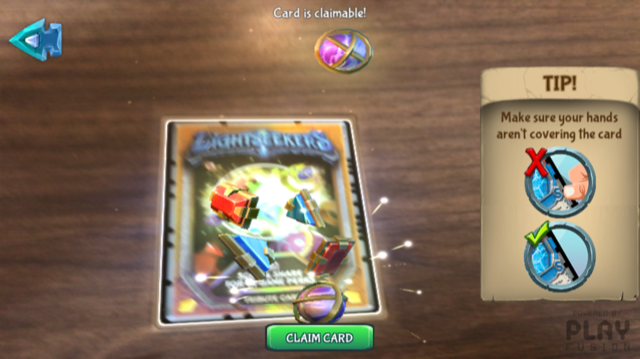 Okay, so I said I wouldn’t dive in on the collectible nature just yet, but in the case of Lightseekers, we have to touch on a couple of things. To start, this is a massive card set and its distributed across not just booster packs, but toys and starter sets. If you really want all the cards, you’ll be buying a lot of content. At the same time, the card distribution in the boosters isn’t ideal, with a large number of combos rotated in to ensure everyone gets enough of them. But because only 1 in 6 of your deck’s cards will be combos, you’ll end up with a lot of extras of these if you opt for boosters. The actual set distribution is a bit odd too, with some cards that are rare being less powerful than uncommons and commons. It feels like a first attempt in many ways, albeit one that works on many levels. You don’t need to buy boosters or toys to enjoy Lightseekers. 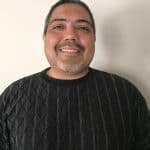 Two or three starter kits and a free app provide plenty of opportunity to enjoy what is for all intents and purposes a very good mid-level collectible card game. 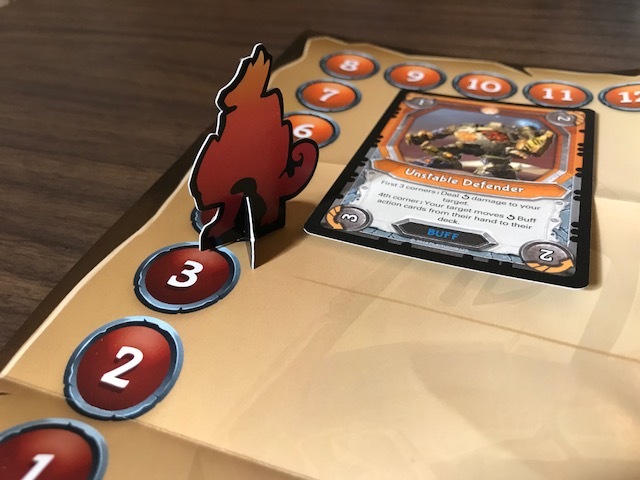 If you have children you want to get into trading card games, or if you are interested in a game that has more accessible, friendlier cartoon-style artwork, don’t overlook Lightseekers. There may not be the depth of the top tier CCGs here, but it’s surprisingly engaging and strategic, with clever deck building and gameplay mechanics. 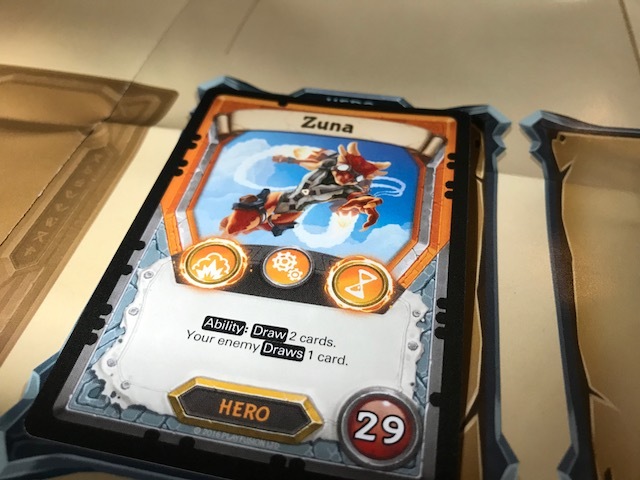 Lightseekers offers a unique play experience, accessible packaging, and a lot of additional ways to engage with new character mythology. It’s worth an initial play for anyone who enjoys two player dueling card games.